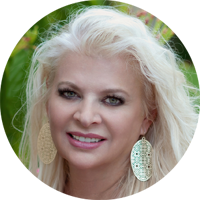 Danell Fields was born and raised in Texas and has been in the Houston Area for over twenty-five years. A Baylor University graduate, she raised her family and has become very active in the community that she loves. Always interested in homes, construction, and trends in the housing market, she embarked on a real estate career she loved and always had envisioned for her life. She also feels that personal service and client relationships are a vital part of this process. Danell knows the Houston area well, having also served in a community service capacity throughout her career. She has been on the board of the Lone Star College Foundation, the Humble ISD Foundation and former chairman, the New Caney ISD Foundation board, the American Heart Association board and former chairman and Volunteer of the Year award, the Lake Houston YMCA board and former Volunteer of the Year award. She serves on the Board of Governors of the Club Corp Kingwood Country Club, Baylor University Houston Alumni, Family Time, the Village Learning Center, and the Humble Area Assistant Missionaries, Lake Houston and Community Chamber of Commerce's, Baylor Business Alumni, and Second Baptist Church and others to name a few. She is also an adjunct professor at Lone Star College. Danell has two grown sons, a daughter-in-law, and a precious granddaughter. She has been recognized for her contributions to the community with such awards as Family Time Women of Achievement, Kingwood Park High School Booster Parent Award, Small Business of the Year award from Lone Star College, and Small Business of the Year award from the Community Chamber of Commerce.